Within the New Age movement there are countless people today, who work egoistic with karmacially experiences – that is to say: they earn money as clairvoyants, regression therapists etc. Some of them live on pure make believe, others are direct frauds, but some of them have actually the ability to look into the astral plane´s collective history, and tell about a past and a future which lies outside the area of the personality. But usually they have no philosophical training, no realization training and ethical practice. Therefore they basically do not know what they are doing. They are lost in the area of time where mountains no longer are mountains, and woods no longer are woods. There is in this area of the collective time and its images, with all its experts and clients, the possibility for a lot of waffle, a lot of imprecise guesses and imagination, fiction and speculation. In my article Paranormal phenomena seen in connection with spiritual practice, you can read about, that though you might have paranormal abilities, then you, spiritual seen, not necessarily are sufficiently awake on these areas, and therefore competent enough to guide other people spiritual (also read my article Six common traits of New Age that distort spirituality about the incompetence of New Age teachers). 1) The so-called compensatory karma will by these experts and clients normal be misunderstood and abused as a kind of legitimation of, that we are as we are or do, as we do. He or she becomes obliged to do this or that in order to equalize old karma, or because it is his “destiny”. He is being told that he is going to meet certain people, are being told about other people, etc., etc. All this is spiritual seen nonsense. Usually the whole thing is about escaping from reality or excuses (read more about karma in my article What is karma?). Precisely like philosophy of existence the spiritual traditions say that you in your opinion formation and identity formation must be yourself, live in compliance with your own essence, and thereby achieve authenticity, autonomy, decisiveness and power of action. If you follow clairvoyants´ advices the direct opposite happens: In your opinion formation and identity formation you will strive after becoming something else than what you are, you will imitate (model) others, be a slave of others´ ideas and ideals, and your actions will be characterized by irresoluteness and doubt. Instead of equalizing old karma (compensatory karma is what normally is understood as karma, or negative karma) they will create new compensatory karma. 2) Another philosophical/spiritual principle is to examine, whether the karmacially talk and experiences of the experts and clients remove their energy-investments in the actual reality. If focus is displaced backwards or forwards in time, then the collective time has taken over and spiritual seen there therefore happens an escape. Such an escape is seen both in Freud, Rank, Grof, Janov, rebirthing, regression, clairvoyance, past (or future) lifes therapy, astrology, prophecy, shamanism. None of these people and theories can therefore be said to work spiritual. And if they use the karma idea (the idea of a person´s spiritual destiny) in that way, it is no longer a spiritual help, it is a collective displacement of the focus backwards or forwards in time and therewith out of reality and into the unreality of the collective time. Only Man himself can find what is called progressive karma (his spiritual destiny; the dreamtracks and songlines in his spiritual journey; the map that shows his way to enlightenment). The consciousness has the key in its life. It helps nothing, what clairvoyants may be able to see in the astral plane´s collective history, or fantasize about another person´s karmacially experiences. Many of these experiences (for example about past lifes) – and which have a certain reality for either the clairvoyant or the client – are collective fantasies. Collective fantasies have two aspects. The one aspect of the fantasies is a kind of archetypical, mythologically symbolizings of more personally, unclarified matter (for example thought distortions - see my book A dictionary of thought distortions). The second aspect of the fantasies is relatively valid information about incidents, for example in other centuries. The misguiding happens because the two aspects are blended together. The clairvoyant, or the client himself, can remember, that he has lived in a past incarnation (often very romantic, for example as a pharaoh), and he can even travel to the places, where he had been incarnated and find things which ”proves” his assertion. There has been made many examinations of things of that kind. But regardless how fascinating it is, then it proves nothing about past lifes. And therefore it is deceptive and dangerous to occupy oneself with. Only your own realization opens. Whether another person even was able to read the whole of the karmacially course (a person´s life-history, destiny) and tell the seeker about it, it would not help. On the contrary it would harm. Only your own inner experience and realization can open the spiritual dimension. Karma in other ways is nonsense. And by the way, that´s the same with all spiritual. The genuine karmacially structures (progressive karma, the spiritual destiny) do not lie in the astral plane´s collective time, but in the universal time, which work in synchronism with the Now. If the karma idea (the idea of a person´s spiritual destiny) is used spiritual seen correct, then the focus, instead of being projected out in something afar (past lifes, the past, the dead, spirits, a guru, birth, the future), will be present in something very near, namely only in the most intensive experiences of this actual life, and after that: in this actual Now with its possibility of realizing your innermost. It is your awareness in the now that will find the progressive karma, and this awareness you can of course only practise yourself (see my article Paranormal phenomena seen in connection with mystical experiences). In all briefness you can say, that genuine spiritual counseling tries to guide people, who wish to learn, to go round the states, which have to do with the astral plane´s collective time, or at least, to shorten the passage through these areas. And if you are lost in them, to lead you back on the right track. Cold reading refers to a set of techniques used by professional manipulators to get a subject to behave in a certain way - salespersons, hypnotists, advertising pros, faith healers, con men, some therapists, etc. - or to think that the cold reader has some sort of special ability that allows her to “mysteriously” know things about the subject. Though cold reading is described as a technique, and though the following might make it sound like a very difficult technique, cold reading is most often used in the same way as other thought distortions, completely unconscious, as a way of getting on in the world. Some educations in clairvoyance might just make you a bit more skilled in this. Not all cold reading are done by malicious manipulators. Some readings are done by astrologers, graphologists, tarot readers, New Age healers, and people who genuinely believe they have paranormal powers. They are as impressed by their correct predictions or “insights” as are their clients and patients. They have good intentions, but you should be careful not to be caught up by the thought distortion called Good intentions bias! Cold reading can be learned by anyone, clairvoyant or not. Just look at how Derren Brown numerous times has shown how easy it is to fool people by using cold reading. There are many people who promote themselves as clairvoyants or psychics, and who claim that their powers enable them to read your character, make contact with dead relatives, or provide insights into your life, your past or your future (we have already looked at how anti-spiritual this is, and therefore unethical). It is very important to understand, that cold reading can´t be understood, nor succeed, without understanding another thought distortion, namely Subjective validation. In other words: the effects of cold reading will not go beyond the effects of subjective validation. Subjective validation is active when people will validate a set of statements allegedly about themselves as highly accurate even if these statements not are accurate. This tendency to find personal meaning and significance in statements not based on personal knowledge extends to words, symbols, initials, and objects as well. Some of the statements or other items we find personally meaningful – even when they´re not – seem meaningful because of our desires (see the chapter The Lifeartist as a Desirous Being in my book A Portrait of a Lifeartist). One reason for that people rate impersonal statements as highly significant to them – even when they´re not - is because they´re gullible. People tend to accept claims about themselves in proportion to their desire that the claims be true rather than in proportion to the accuracy of the claims as measured by some non-subjective standard. We tend to accept questionable, even false, statements about ourselves if we deem them positive or flattering enough. Being gullible and prone to wishful thinking may partially explain the tendency to subjective validation. Another key element is selective thinking, the tendency to focus on and remember evidence that supports one´s beliefs, while ignoring or forgetting the evidence that conflicts with one´s beliefs. Some of the statements in the drugstore astrology reading may be false for you, but you ignore, downplay, or forget those statements when making your overall assessment of accuracy. Subjects who seek counseling from psychics, mediums, fortune tellers, mind readers, graphologists, etc., will often ignore false or questionable claims and, in many cases, by their own words or actions provide most of the information they erroneously attribute to such counselors (the explanation of why cold reading works). Many subjects will often believe that information they provided the counselor was profound and personal information that the counselor couldn´t possible have known. Another important element in subjective validation is the natural human tendency to find meaning and significance. We will often give very liberal interpretations to vague, ambiguous, or inconsistent claims about ourselves in order to make sense out of the claims. In fact, we will often work hard to figure out some significance or meaning for statements that aren´t even about us when told that they´re somehow important. Mentalists and unscrupulous people claiming to be psychic take advantage of our desire to find meaning everywhere. There is at least one more key to understanding subjective validation: motivation. Many people seek fortune tellers of all sorts or psychic mediums because they desperately desire to have someone tell them what lies in store for them or they desperately wish to make contact with a dead love one. The sitter must be willing to validate. The stronger the desire to make contact, the harder the sitter will work to find meaning and connections in the medium´s items. There may also be another mechanism at work here: the desire to please the medium. This may be due partly to the consideration that by pleasing the medium, the odds increase that the medium will make contact. But it may also have to do with a strange phenomenon that occurs in settings where a person gives up control of the situation to another, as in hypnosis or when being asked to assist a magician do a trick (see my article Hypnosis, hypnotherapy and the art of self-deception). There is sometimes a kind of loss of self in those situations, and combined with a desire to please, a kind of submission to the will of another, up to a point. If such a mechanism is at work in psychic readings, the sitter may acquiesce to the suggestions or items thrown out by the medium, not because they are true or truly significant, but out of a desire to please (also see my article Paranormal phenomena seen in connection with channeling). When the motivation of the sitter is high enough it might lead her to validate false or ambiguous statements. Also the thought distortion Clustering illusion can be a key to understanding subjective validation: the intuition that random events, statements, or items, which occur in clusters are not really random events, statements, or items. Finally, the drive to find personal meaning or significance in impersonal or insignificant coincidences may be related to the powerful natural drive to create stories, narratives that string together bits and pieces of information into a tale. Of course truth matters much of the time, but many of our narratives satisfy us regardless of their accuracy. This tendency to connect things and create plausible narratives out of partially fictitious items is a thought distortion called Confabulation. About thought distortions, see my book A dictionary of thought distortions. So, it is subjective validation that constitutes the delusional about cold reading. But it also explains why clairvoyance not necessarily is based on guessing games, nor on trickery, such as chatting up the audience members before a performance and gather information about them; having accomplices in the audience; having detective work done on the sitter, for example through the internet; having an accomplice who chats you up, listens in on your conversations while you are waiting for the reading to begin, or who collects written information from you that is later used in the performance. Cold reading - and most other New Age techniques, as for example astrology and personality typing - is dependent of, that subjective validation is active in the client, or else it won´t work. Cold reading and subjective validation are two sides of the same coin. Cold reading is therefore also dependent on, that all kind of critical thinking is eliminated. The role of subjective validation in cold reading is the reason for, that there has never been a successful demonstration of these “powers” in a laboratory, under properly controlled conditions, or that no clairvoyant ever has been able to take James Randi´s The One Million Dollar Paranormal Challenge. James Randi is an American stage magician and scientific skeptic. His challenge is offering a prize of US$ 1,000,000 to eligible applicants who can demonstrate evidence of any paranormal, supernatural or occult power or event under test conditions agreed to by both parties. By far the most common method employed by clairvoyants – no matter whether they have paranormal abilities or not – is cold reading. This method involves the clairvoyant reading the client´s body language etc., and skilfully extracting information from the subject, which can then be fed back later, convincing the client that the clairvoyants have told them things they couldn´t possibly have known! If the reader looks and acts as if she believes in what she is doing, she will, because of subjective validation, be able to sell even a bad reading to most subjects. One danger of playing the role of reader is that the reader may actually begin to believe that she really is divining her subject´s true character. She is then caught in ego-inflation (see my article The ego-inflation in the New Age and self-help environment). These can provide the reader with much information about what various subclasses in our society believe, do, want, worry about etc. For example, if the reader can ascertain a subject´s place or origin, educational level, and his/her parents´ religion and vocations, the reader has gained information which should allow her to predict with high probability his/her voting preferences and attitudes to many subjects. Most of the time readers also utilize known principles of psychology that apply to nearly everyone; or simply: they use generalities. The reader will profess a modesty about her talents. She makes no excessive claims. She will then catch her subject off guard. She isn´t challenging them to a battle of wits – she can read his/her character, whether he/she believes her or not. The reader will emphasize that the success of the reading depends as much on the subject´s cooperation as on her efforts. After all, the reader implies she already has a successful career at character reading (the thought distortion Truth by authority is central here). The reader is not on trial, but her subject is! The reader will state that due to difficulties of language and communication, she may not always convey the mening she intends. In these cases, the subject must strive to fit the reading to his/her own life. The reader accomplishes two valuable ends with this dodge – Firstly, she has an alibi in case the reading doesn´t click: it is the subject´s fault, not her! Secondly, her subject will, again because of subjective validation, strive to fit the reader´s generalities to his/her specific life circumstances. Later, when the subject recalls the reading, the reader will be credited with much more detail than she actually provided! This is crucial. Her reading will only succeed to the degree that the subject is made an active participant in the reading, and therefore that subjective validation is active in the subject. 5) Some readers use gimmicks, such as Tarot cards, crystal ball, palm reading etc. Even during a cold reading, a liberal sprinkling of stock phrases will add body to the reading and will help the reader fill in time while she formulates more precise characterisations. The reader uses them to start her readings. Palmistry, tarot and other fortune telling manuals are a key source of good phrases. 7) The reader keeps her eyes open! The reader will size the subject up by observing his/her clothes, jewellery, mannerisms and speech. Even a crude classification based on these can provide the basis for a good reading. The reader will also watch carefully for her subject´s response to her statements, and notice when she is hitting the mark! This is simply a technique to get the subject to tell the reader about his/herself. Then the reader will rephrase what she has been told and feed it back to the subject. One way of fishing is that the reader says something at once vague and suggestive – (notice that readers never say anything directly – they are always fishing!) – e.g., “I´m getting a strong feeling about....” (something). The reader will have committed to memory such things as the most common male and female names and a list of items likely to be lying about the house such as an old calender, a photo album, newspaper clippings, and so on. The reader also works on certain themes that are likely to resonate with most people who consult clairvoyants: love, money, career, health, and travel. If the subject responds, positively or negatively, the reader´s next move is to play off the response. If the response is positive then the reader will say something like: “Yes, I can see that,” anything to reinforce the idea that she was more precise than she actually was. Another way of fishing is that the reader is phrasing each statement as a question, and then waiting for reply. For example: “I sense that you have a strong feeling for...(someone/something)...am I right?” If the reply or reaction is positive, then the reader will turn the statement into a positive assertion, etc. Often the subject will respond by answering the implied question and then some. Later, the subject will forget that he/she was the source of the information – this is called “source amnesia” (forgetting the source of information) and is a very common occurrence – especially when enforced by subjective evaluation. By making her statements into questions, the reader also forces the subject to search his/her memory to retrieve specific instances to fit the reader´s general statement. 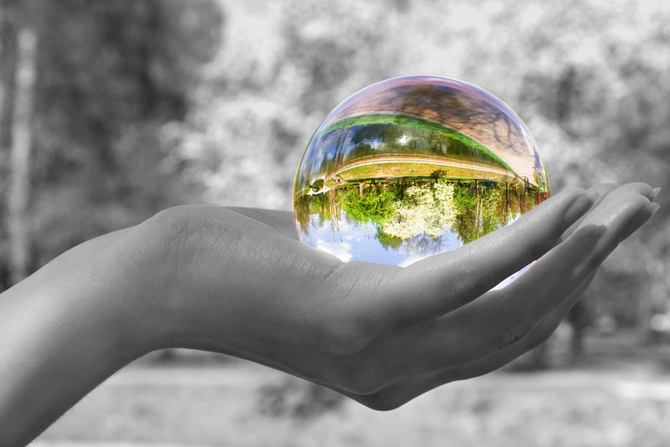 During the course of a reading the clairvoyant´s client will be bursting to talk about incidents that are brought up. The good reader allows the client to talk at will. Afterwards the clients often will praise the reader for having astutely told them what in fact they had spoken themselves. Another value of listening is that most clients that seek the services of a reader actually want someone to listen to their problems. In addition, many clients have already made up their minds about what choices they are going to make. They merely want support to carry out their decision. The reader will give back what little information she does have or pick up a little bit at a time. She will make it seem more than it is. She will build word pictures around each divulgence, and she will not be afraid of hamming it up. The succesful reader, like the family doctor, always acts as if she knows much more. Once she has persuaded the subject that she knows one item of information that she couldn´t possible have known (through normal channels) the subject will assume that she knows all! At this point, the subject will open up and confide in her. An occasional subject will protest, but will still lap it up. In such cases, the reader can add: “You are always suspicious of those who flatter you. You just can´t believe that someone will say something good about you without an ulterior motive”. 13) The reader will always tell the subject what he/she wants to hear!